What’s in a name? For The Lulls, it’s washed out guitar and the rolling rhythms of water pounding the California shore; it’s the space between activity, down time, and the gentle rocking of waves and sleep. It’s a band name that perfectly encapsulates its sonic persona: soft, dreamy indie that’s equal parts surf rock, post punk, and dream pop. 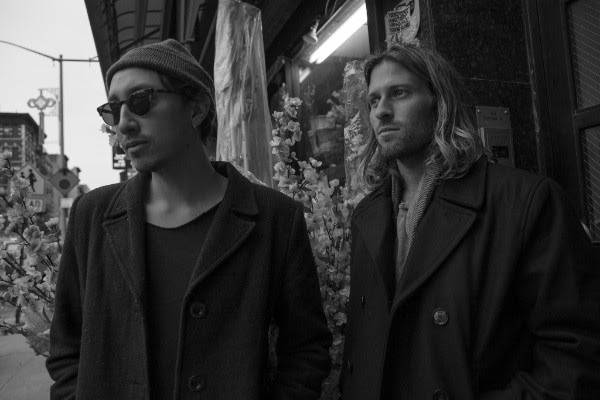 Rutger Rosenborg (guitar, vocals) and Ryan Miller (drums) comprise the core of The Lulls, an LA/NYC-based band formed in 2015 at the hands of what feels like artistic fate. Listen to Meridian here and on major streaming platforms. Growing up in San Diego, Rutger and Ryan first met through their shared love of skateboarding at the young age of eight. “Ryan and our other friends were starting to play music because their dads all played. I didn’t want to be left out, so I lied and said I played guitar,” Rutger said. Backtracking, he scrambled to learn a few chords and headed over for their first jam session. 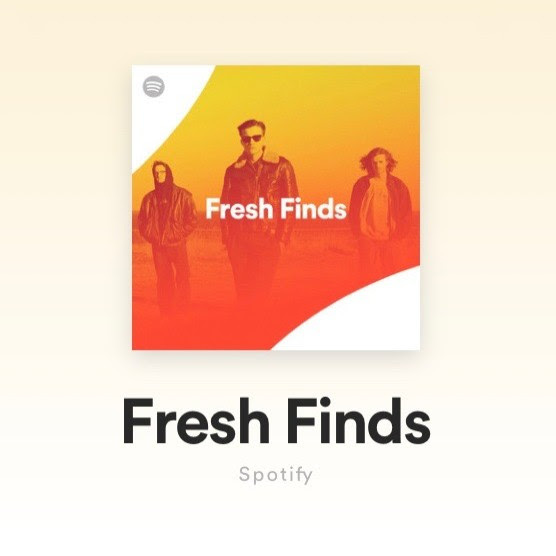 “Not Bad” was featured on Spotify’s Fresh Finds in August, garnering more than 18,000 streams. “We started with blink-182 covers and played our first show at the fifth grade talent show. Ryan forgot his drumsticks, so he had to play with his hands. Then, we released our first EP when we were 12,” he added. Rutger and Ryan proceeded to play and write together through high school, taking a short break for their college years at Stanford and Loyola Marymount, respectively. Upon graduation, they reunited and eventually started The Lulls, which was the product of a natural evolution of over two decades of creative collaboration. Rutger and Ryan soon released their debut album, Island of Daughters, on vinyl, exploring themes largely rooted in the geography of America — a topic of significant importance for them both. Download exclusive press photos and final masters here. Born in Guatemala to a Swedish father and a Salvadoran mother, Rutger’s outlook as an American has always felt a bit “external.” Despite having grown up in the country, he often identifies as an outsider. Ryan, on the other hand, has spent much of his life with a desire to break out beyond his American roots by traveling the world from Bali to Panama in search of a fresh perspective. and they were nominated for Deli LA’s Artist of the Month in September. The theme finds its way onto Meridian. In songs like “Good Night America,” The Lulls offer a satirical commentary on American culture’s lack of intimacy in the age of digital relationships. Through their years of musical companionship, the sophomore release displays a sense of maturity that takes their love of experimental headiness and presents them in more accessible forms. Inspired by poets like Walt Whitman, who Rutger attributes to having “given America its first real poetic voice,” The Lulls possess the unique ability to create impressionistic musical journeys while remaining effective storytellers. Schedule an interview or book a performance with The Lulls. After a week holed up in the Idyllwild mountains followed by recording sessions in Connecticut with co-producer Ross Nicol, Rutger and Ryan emerged with Meridian. “Take It as It Comes,” featuring guest vocals by Rutger’s girlfriend Holly Britton, explores a real life tragedy that affected her and how they have both been able to find light in that overwhelming darkness. “Later On” is a personal dialogue between the writer and herself regarding the existential nothingness that accompanies all of the superficialities of being at a party in LA. “Not Bad” is a collection of moments stitched together to evoke an overall feeling of isolation and longing — but it’s presented with a playfulness that suggests the writer’s ambivalent resignation to his own reality. for whom Rutger wrote the song as part of an anniversary present. “We want to treat a song as a vehicle for both the expression of a feeling or theme, and also as a way to then replicate that feeling or theme again and again,” Rutger said. It’s plain to see Rutger and Ryan are not solely musicians, but rather poets using music as their preferred medium of expression. With 20 years of musical chemistry between them and an enduring friendship at the core of their working relationship, The Lulls are a band with undeniable depth, implicit relatability, and music you’ll want to play again — and again.